Good Idea to Fix Attic Insulation While Roof Is Replaced? 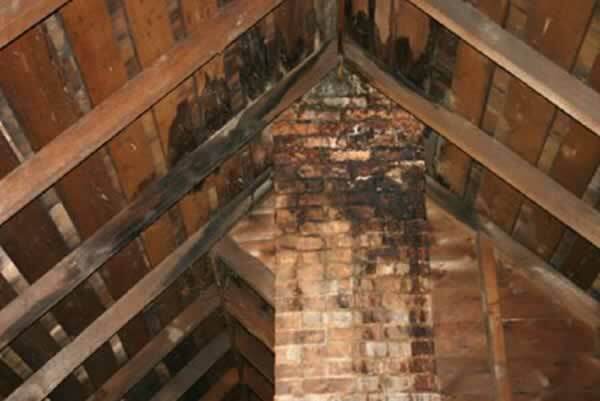 Should you have your attic insulation looked at while contractors work on your roof? Yes! There is no better time to have your attic insulation looked at than while your roof is being worked on. Especially if you’re installing rigid foam insulation (solid sheets of foam vs. the fluffy fiberglass particles common in most insulation work). Roof Replacement Paired with Attic Insulation Saves You Up To $1,000 in Labor Costs Alone. Plus, one of the biggest expenses of hiring a contractor is the time and labor costs associated with a project. That means that while you’re having your roof replaced, if you also tackle your attic insulation, you’re going to save upwards of $1,000 on labor costs alone because most of the labor-intensive parts of the work are done at the same time. But here’s the real question you’re probably asking: is the added cost of having insulation work done worth it? There’s no way around it: adding on an insulation project to your existing roof replacement or roof repair job is going to make the bill start adding up, and honestly, a lot of the time in our experience when a customer is looking at a roof replacement, it’s out of necessity, not convenience and a lot of the time – it’s an unexpected inconvenience. Here’s the thing: when we get a call, when any roofing contractor gets a call, usually it’s because a problem has happened with the roof already. Whether that’s an obvious leak, damage from a passing storm, or just plain old age with built up damage that needs attention in the near future. Simply put: the roofer doesn’t get the call unless there’s a problem. That problem is almost always related to water damage. Leaks…moisture build up…mildew… all very common problems we find or hear about when we get the call. Plus if there’s damage on the outside of the roof, and evidence of moisture damage in your attic, you can bet your bottom dollar that your insulation has suffered too. Mold, especially, is a pain in the $#@ to deal with. Once it gets in, it spreads like wildfire throughout the house and if left unchecked it creates a whole different set of problems to deal with that cost a whole lot more to deal with. Nobody wants the guys in gas masks (to avoid breathing the air you’ve been breathing) coming in to remove mold. So What’s the Best Thing You Can Do? Take Action: it’s as easy as asking the roof estimator to also check out the insulation in your attic (just say “hey, while you’re there can you check the insulation for me too?”) and thoroughly inspect for damage inside to assess whether or not you should replace your insulation and whether you should do it right away or if it can wait. A good estimator will tell you honestly whether or not it’s something that needs immediate fixing or if it’s in your best interest to wait. But what if I’m told I need my attic insulation replaced, but I decide to wait? Insulation continues to decline over time – meaning it loses it’s effectiveness. When insulation loses effectiveness, heating & cooling bills go up (averaging $600 more a year!). Vulnerabilities in insulation leads to quick spreading of mold, mildew and other contaminants. What if an immediate fix is not in my budget? 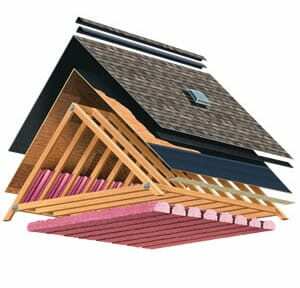 Any reputable roofing company will have a variety of options to help you with that. The first place you should check is with your homeowners insurance policy (find out more about roof replacement costs here) to see if you have coverage to offset the costs (many times by 100%!). If insurance fails the next best option is to pair the insulation installation and roof replacement costs together in the same personal loan using financing. This means you have one payment, usually with 0% interest offers and terms that fit your budget, without having to put your home up as equity. The final option is to make a plan to address it in the near future: but know that if it’s really a problem, on average, it’s going to cost an extra $1,000 to do it separately – rather than having the problem solved at the same time your roof is being worked on, and often the work can be completed together in a day or two, meaning your home life has the minimum possible disruption. If you suspect that you have roof or attic insulation damage and live in the New York Capital Region, feel free to give our office a call at (518) 444-ROOF and we’ll be more than happy to have an expert inspector and estimator give you the best possible advice for your situation. Alternatively, you can book an appointment directly by clicking here.